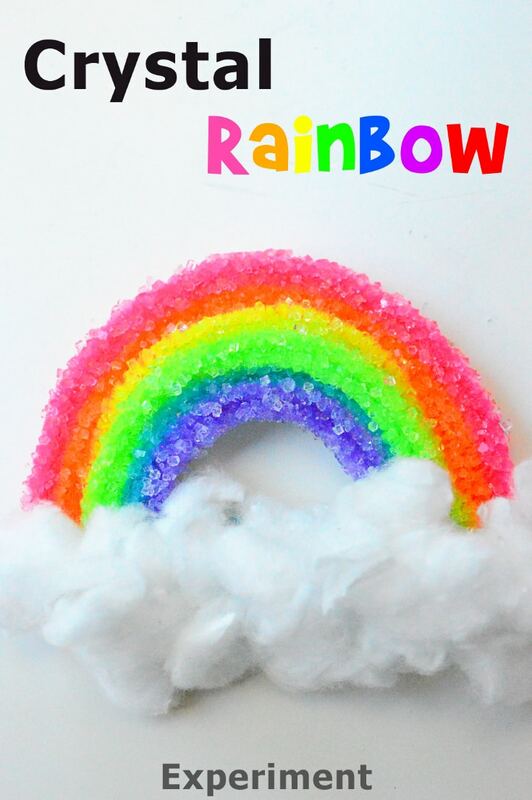 This crystal rainbow experiment is the perfect project to satisfy any kid’s rainbow craving. 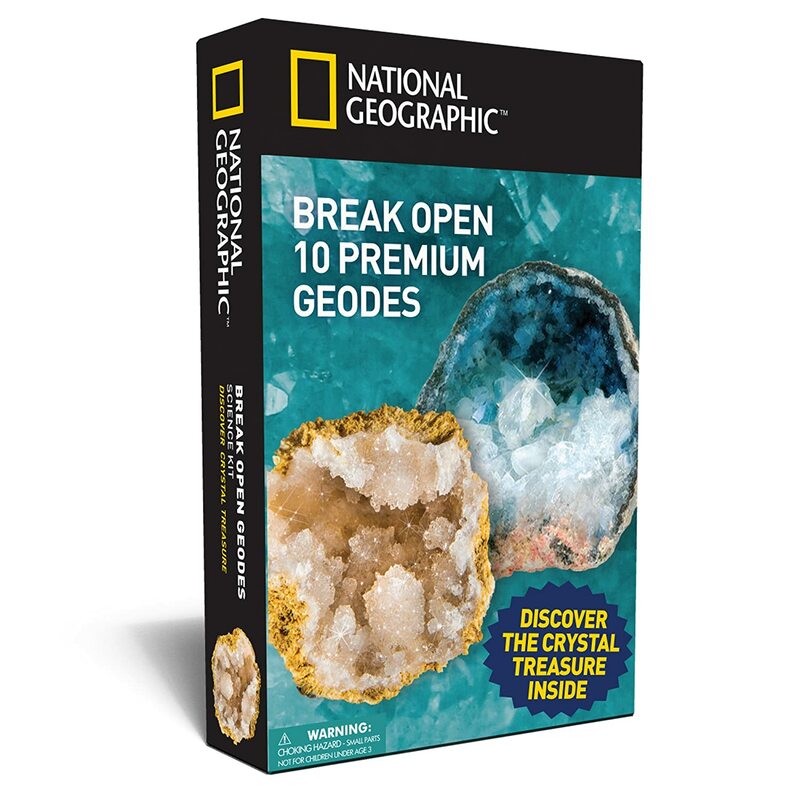 It’s super easy and only takes 2-3 hours for the crystals to form nicely. 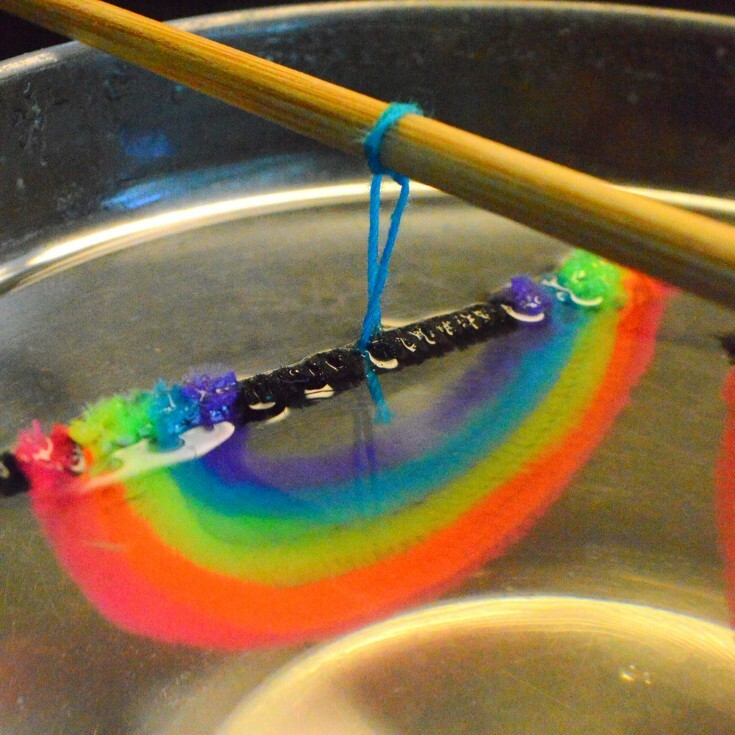 Using one pipe cleaner as the anchor, tie one end of the rainbow colored pipe cleaners onto it. Bend them into a half circle. Tie the other end of the pipe cleaners onto the anchor pipe cleaner. Cut the excess. Fill the bowl with water to around three quarters full. Then using a measuring cup, measure the amount of water used. Boil the water in a pan under adult supervision. Carefully pour the boiling water into the bowl. Dissolve plenty of Borax into the hot water. 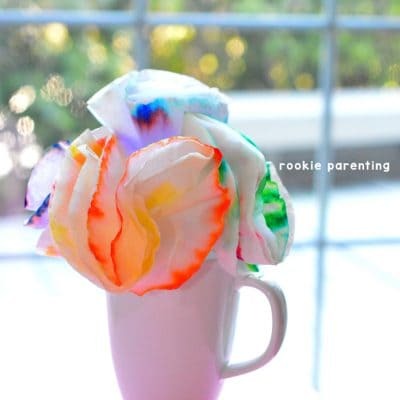 For each cup of water, I used 3 tablespoons of Borax. Stir the water until all the powder has dissolved or the powder left at the bottom cannot dissolve further. This phenomenon is called saturation. 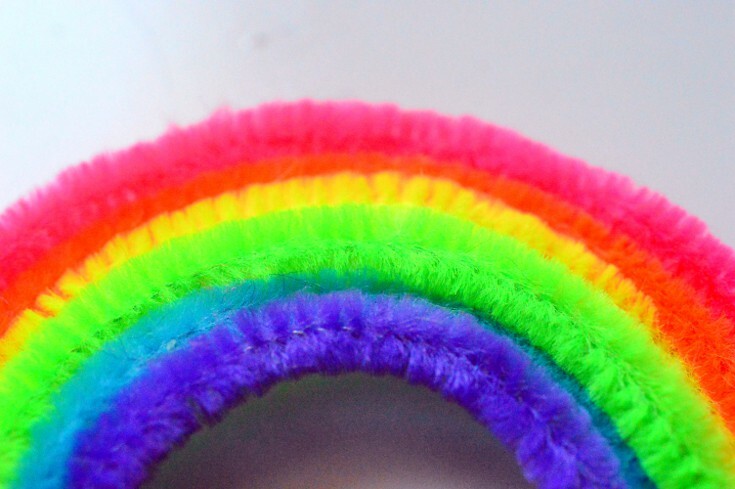 Tie the rainbow you’ve made onto a twine. 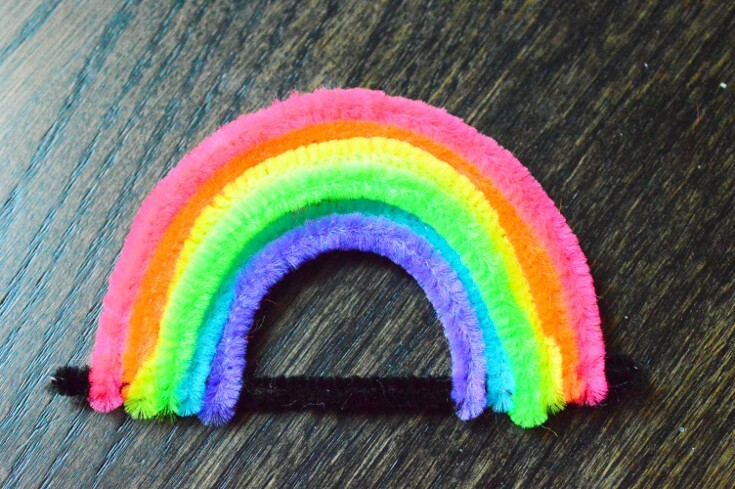 I tied it on the anchor pipe cleaner and hanged the rainbow upside down. 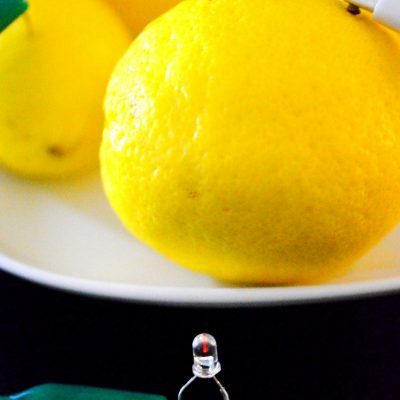 Tie the other end of the twin onto a pencil or stick and submerge it into the Borax solution. 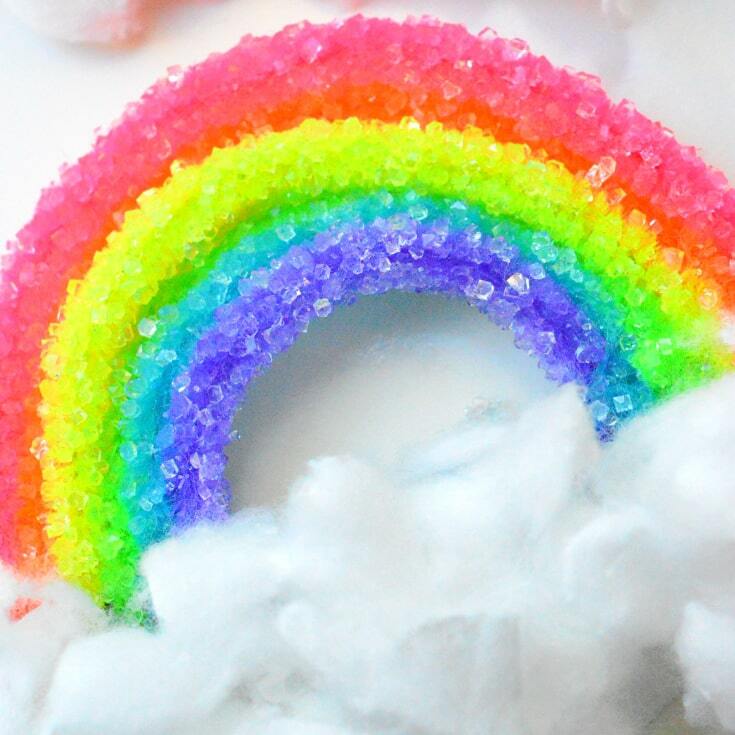 Make sure the rainbow is fully submerged and not touching the side of the bowl. Put the bowl in an area where it won’t be disturbed for the next few hours. 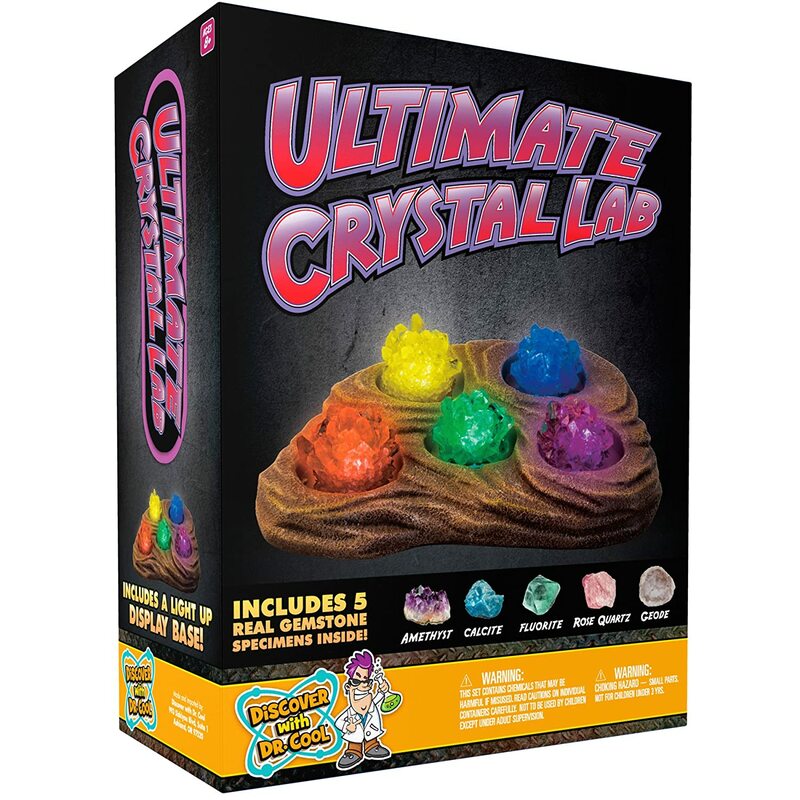 Crystals should start forming immediately and a layer of crystals will cover the pipe cleaner completely within 3 hours. Wait another hour or two if you want a thicker rainbow. When it’s grown to the desired size, take it out to dry. 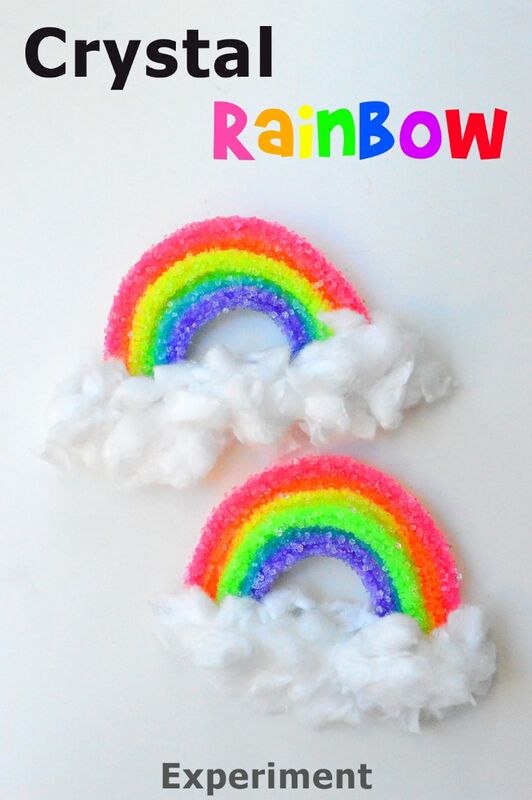 Glue cotton balls onto the bottom. 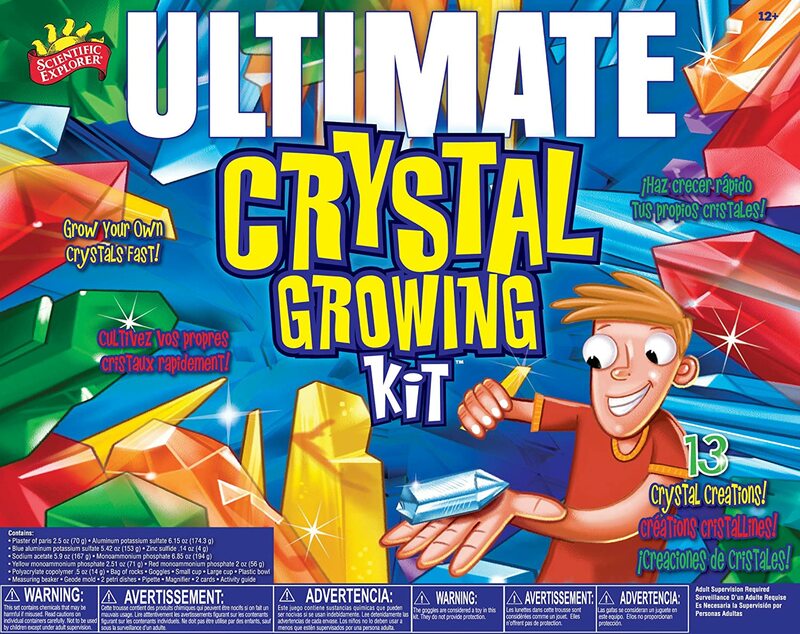 Unlike growing crystals using sugar or salt, crystallization using Borax is relatively fast. Crystals can be seen forming as early as two hours after the glass is set aside. One of the most salient properties of water is its ability to dissolve other materials. 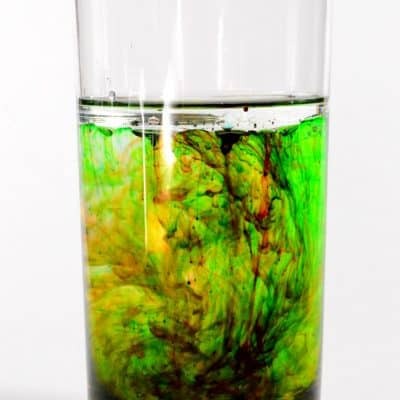 In this experiment, Borax powder was dissolved into the water until the solution is saturated, meaning no more powder can be absorbed by the water. 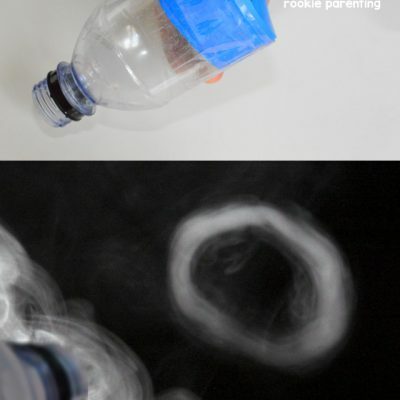 Water can dissolve more powder when it is hot. As the water cools, the powder starts to solidify, i.e. turning from a liquid form into a solid form. 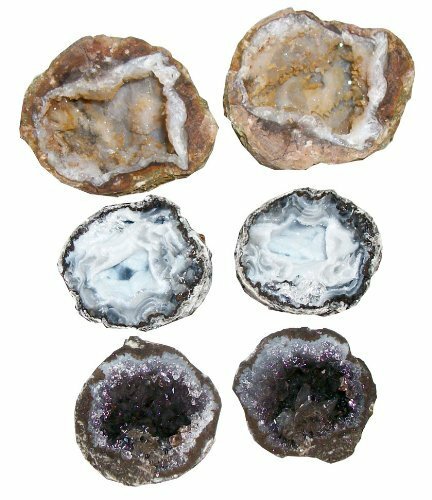 The precipitated solid sticks together and form crystals. Here are the detailed scientific explanations on crystallization: Nucleation and Crystal Growth. It’s always amazing to see crystals form right in front of your eyes. You can create different ornaments (e.g. Crystal Angels, Crystal Christmas Ornaments) by using pipe cleaners in different shapes. 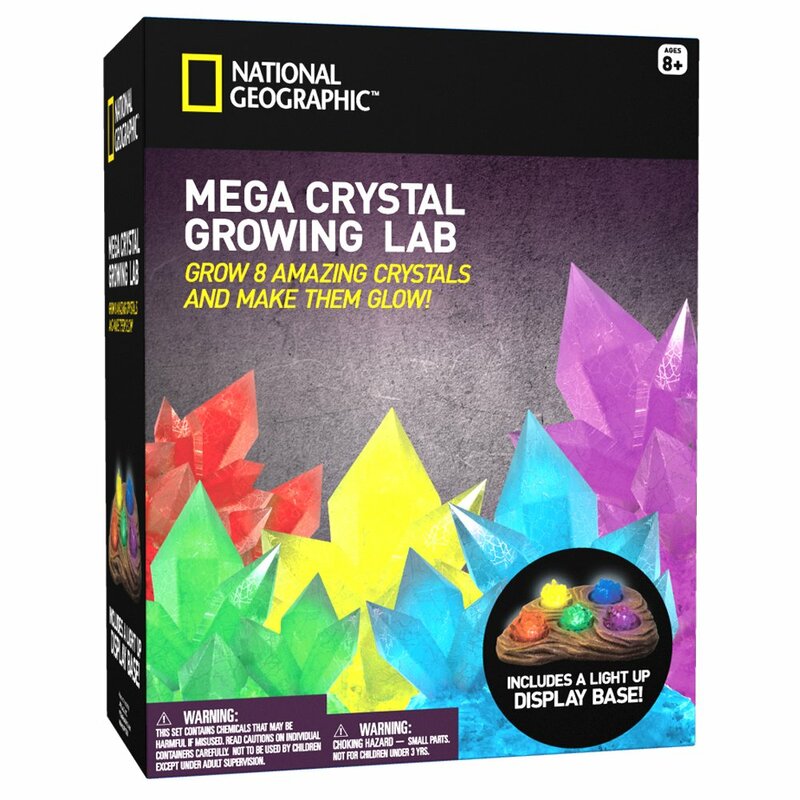 You can also use other materials to grow crystals of different sizes. 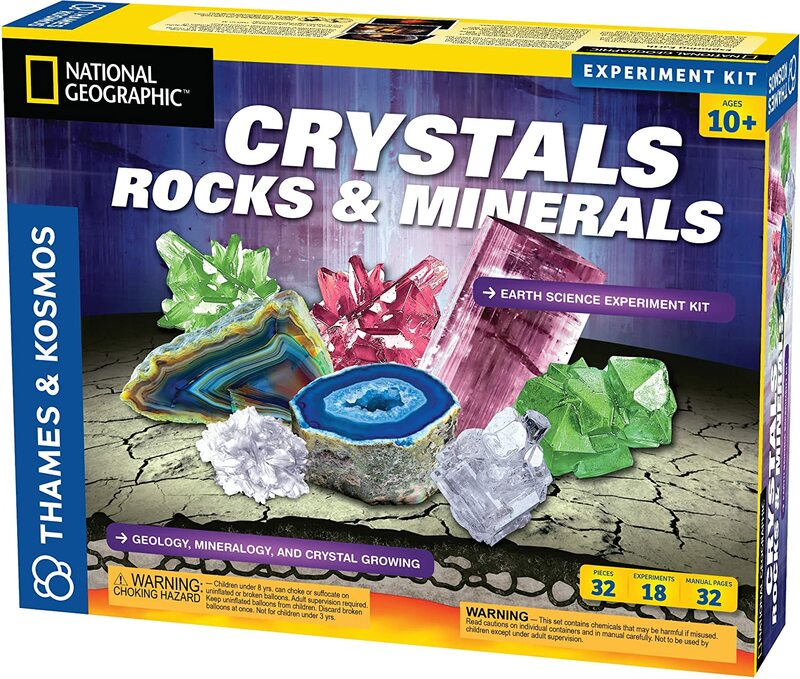 Here are some awesome science kits you can experiment with crystallization.